Have you tried some of the different milk alternatives that are out there? Some are really great in my opinion, and you know they have to be good if my picky DH likes them too!! I even turned my Dad on to using vanilla rice milk on his morning cereal, and now he loves the stuff. I have a problem with an additive called carrageenan which is found in many milk and dairy alternatives especially those that are soy based. If I have too much of this additive I break out in hives and have some other allergic type responses. One brand of products that I have found which does not have this additive is the DREAM line of products. Although not all of their products are carrageenan free either. The DREAM line offers soy, rice, almond, hemp, and oat based products. Our favorites are the Rice Dream - Vanilla, Rice Dream - Chocolate, Rice Dream - Vanilla Hazelnut, and Oat Dream - Maple Brown Sugar. We love to use the vanilla on cold cereals, and all of them are great in coffee! DH didn't care for the Almond Dream at all as he thought that the almond flavor was too strong. I personally can't wait to find the Kidz Dream Smoothie products as they sound delicious! I wish that the DREAM brand Ice Cream alternatives didn't have carrageenan in them as they sound great too, but they do so they are out for me :( Turtle Mountain makes some fantastic Ice Cream alternatives though too and their Purely Decadent Coconut Milk varieties are carrageenan free which makes them just about perfect for me :) They even are high in fiber as an added bonus! When I just have to have some sour cream or cream cheese I go for the Tofutti brand on both of these even though they have some carrageenan in them. I just have not found any other substitute for these products. We do have these from time to time and my DH likes them both and doesn't mind the switch from the real dairy versions in many cases. However, due to the carrageenan in them I do try to limit these products. Now for cheese substitutes one really needs to be carefull as many of them still actually contain dairy products. So far the only ones that both DH and I like are the Follow Your Heart Vegan Gourmet Cheese Alternative in the Mozzarrella and Monterey Jack flavors. We do not like the Cheddar flavor at all though! Again these do have the dreaded carrageenan in them so I do have to limit them as well. The Follow Your Heart Vegan Gourmet line also offers a cream cheese alternative which looks to be carrageenan free but I have not found a place to buy this product. Their sour cream alternative does contain carrageenan too but again I have not found a place to buy this product either. As for a butter and or margarine substitute I use Earth Balance Vegan Buttery Sticks and Smart Balance Spreads. But be careful with the Smart Balance as only some of the products are totally dairy free. Both of these products are really good and my DH doesn't mind the switch from the real thing at all. I hope that this can help some other people searching for true dairy free alternatives. 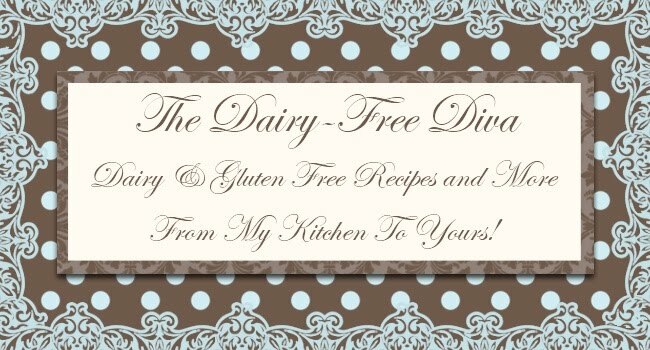 Also, please feel free to let me know about any dairy free products you have found that you love! Hi, Stephanie--so glad I can find you here too! 3 blogs now?! Yikes!! Good for you!! Have you ever tried making your own vegan ice cream? It's awesome! There is a spectacular cookbook out there called VICE CREAM, and it is ALL vegan recipes for ice cream. YUM! We use hemp milk but we make it instead of buying the ones off the shelf at the store. It is really good and it has a balance of omega 3 and omega 6. According to the ingredient label (July 2013), the DREAM line DOES contain carrageenan among other thickeners. Very sad to see this! The only dairy free "milk" that I can currently tolerate is the Silk Pure Almond almond milk line.